One last post before NaNoWriMo ’13! I woke up this morning thinking about my mom, and how she did what she did to make my and my brother’s childhood fun, and really…magical. She absolutely loved the holidays, and would buy decorations for every one, even the smaller ones. She hung cloth banners in the skylight of our house for all of them. Christmas, though, was her favorite. We got stockings and presents under the tree every year, and the house was decorated to the nines with Christmas lights on the roof and Frosty the Snowman lit up outside, with some reindeer. Inside stood her nutcracker collection, a talking Santa and many other delights. She wouldn’t rest until the banners were up and all holiday details and decorations were in place, up to and including the wreath on the door. There are good moms everywhere, but I’ve never seen anyone take the job of “Mom” and run with it quite the way she did. She went all out, from Easter egg hunts for us and our cousins, to camping trips with the cook stove so we could all have delicious meals while at the ocean or in the wilderness, and she always had an excited gleam in her eye to be out there camping. As we got older, her coolness spread to our friends and youth group. For years, we went on summer trips to a beach house in Oregon that I remember with fondness, and we also put on a haunted house in the old barn at our church. We all had such a blast dressing up and scaring the bejesus out of people. Mom’s way of meditating was taking care of the plants all around the property – 3 levels worth of plants. It was a huge undertaking but she did it lovingly. I never got the feeling that she was happy to see us head off to school. If she ever had that, she hid it well. She took such joy, delight and pride in being a mom that I don’t think it ever crossed her mind to be “rid of” us, even for a while. The pure essence of loving kindness surrounded her, always and it really did make it hard to leave for school – up to and including university. In a sense, now that she is gone I’m sad that I did, or didn’t go to a closer college, because I would’ve had that much more time with her. Luckily, during our elementary school years she would take us to the ocean once a year, letting us skip school that day so we could fly kites with our family dog, and go on the go-karts and bumper cars, and many other fun little places. Since I did go away to school, it gave me the ability to return to see the precious gift I had in her. I appreciate that she always encouraged the writer in me – and didn’t mind so much that I never had kids. She always said “I’m not old enough to be a grandma yet” with a little smile. Deep down, I think she knew that it wasn’t in me to give birth to babies but to stories instead, and she was cool with that. My dad always wanted grandchildren but my mom didn’t worry about it…sort of the reverse of most families. I credit her for awakening my imagination as a child. She read so many books including the Oz books, which she collected and which I now have, to us as bedtime stories, so I went to sleep dreaming of those characters. 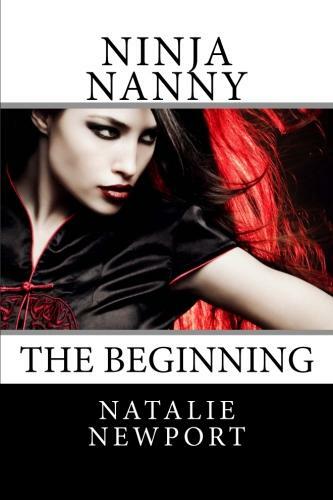 My own books lay dormant within me until the time was right to write, and out came the story of Ninja Nanny and her adventures in babysitting and in becoming a superhero. For my birthday this year, my boyfriend got me the Wizard of Oz box set which has the original movie in 3D and special features, and a number of other Oz memorabilia, which I’ll add to my mom’s collection when I can display it all. Awesome gift! It also came with a journal, which I wrote this by hand in before typing it, in honor of Mom – Sharon. Thanks, Mom, for being such a powerhouse and an example of how to be, all life long. Though most of you reading this didn’t know my mom, this is the way I spread her unconditional love out to you, and I hope you feel it. She loved everyone. You have her love, and mine as well. This entry was posted in Uncategorized and tagged holidays, imagination, love, magical, Mom, Oz, special.